The guys from French publication Motorsport Magazine have been on a sort of a roll lately, publishing very interesting videos of high-performance vehicles going round the Magny-Cours track. 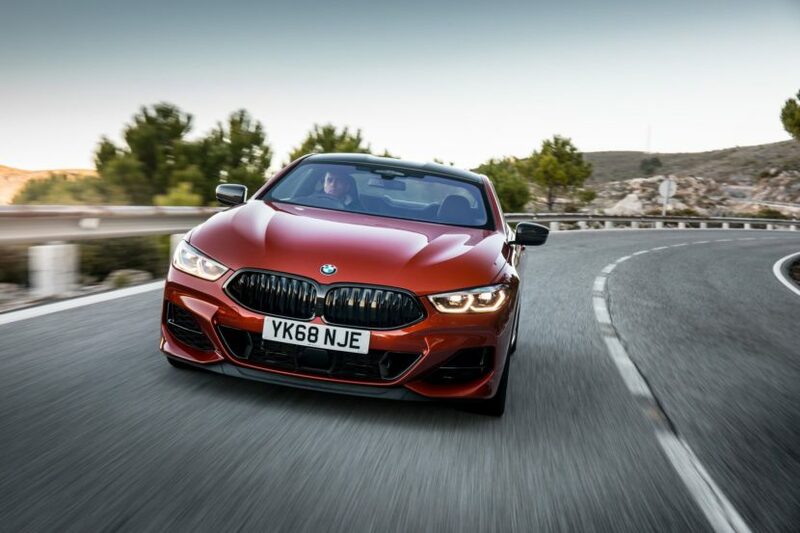 The latest to join the cast is the BMW M850i xDrive, a car some wouldn’t include in the ‘high-performance’ category simply out of spite. If one would take a look at its specs though, it would be pretty obvious that the M Performance 8er is nothing to scoff at. The track in France has provided plenty of baseline readings so far, with some results being more impressive than others. The BMW M2 Competition did great as did the F90 M5, beating some serious competitors in the process. Unlike these two BMWs, the M850i is not a full-on M car but occupies a sort of middle ground if you will, being positioned between the ‘regular’ 8 Series models and the upcoming big dog, the BMW M8. Still, under its hood beats a new 4.4-liter V8 with two turbochargers, delivering 530 HP and 553 lb-ft (750 Nm) of torque. The power is then distributed to the four corners of the car via the xDrive all-wheel drive system which comes as standard, turning this near 2-ton car into a land rocket. It will do 62 mph from standstill in 3.7 seconds and then go on up to a limited top speed of 155 mph (250 km/h) even though independent tests showed it’s ever faster than that. The lap time the guys managed to get on the Magny-Cours track was of 1:23.68 which makes this car faster that the current Audi RS4 and the current 510 HP, Mercedes-AMG C63 S Coupe. The M850i also turned out to be marginally slower than the Jaguar F-Type SVR, Alfa Romeo Giulia QV and the F90 M5, but not by much. That’s might encouraging for the upcoming M8 which is bound to get more power and bit less weight thrown on it. Next post Is the BMW M4 Gran Coupe finally coming?